KreativitetsSPILLET® is a creative tool, based on the fact that sometimes we need to be “whacked” out of our habitual thought patterns and look at what we’re doing in a fresh way. 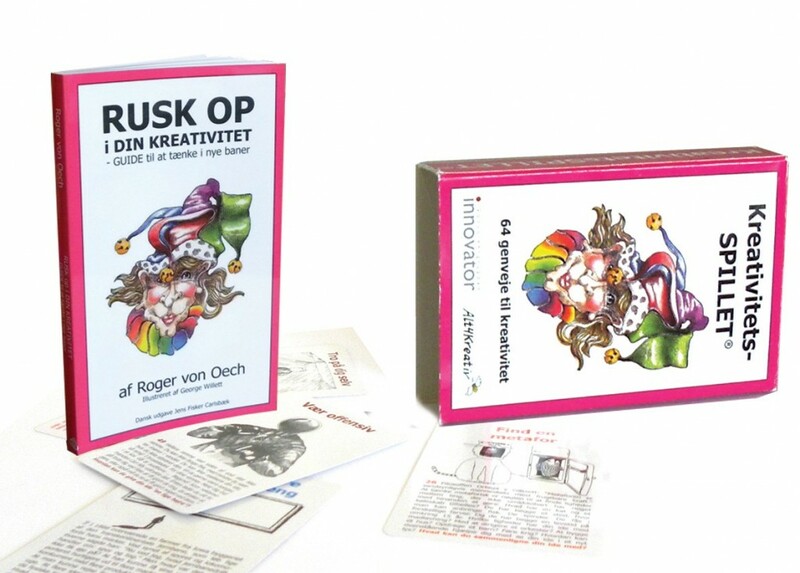 The game consists of 64 cards, each featuring a different strategy. Some highlight places to find new information. Others provide techniques to generate new ideas. Some give decision-making advice. And many give you the “kick” you need to get your ideas into action. The 64 different creative thinking strategies will enhance every player’s creativity.